GameStop has finally unveiled their Black Friday 2018 deals. Many of these bargains have already been outed by competitors Target, Walmart, and Best Buy, and/or Sony, Microsoft, and Nintendo, but there are a few unique-to-GameStop deals you may want to check out. Of course, like everywhere else, GameStop will be offering a Spider-Man 1TB PS4 bundle and a Minecraft 1TB Xbox One S bundle for only $200 apiece, but they’re also offering Xbox One X bundles (Fallout 76 and NBA 2K19) for only $429, and pre-owned Switches for $250. 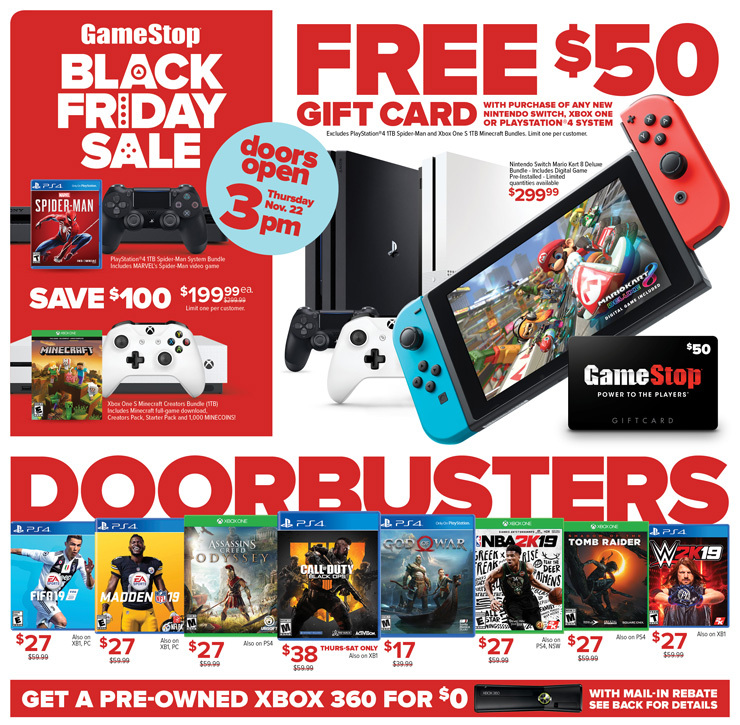 Many of these deals are already available online, although a few are being reserved as “doorbusters” that will only be available when GameStop opens their doors on November 22 at 3pm. You can check out the doorbusters, below. See any deals you like? Of course, you can’t go wrong with those $200 PS4/Xbox One S bundles, but that swanky white Fallout 76 Xbox One X for $429 is worth a look, too! Also, some of those doorbuster game deals are pretty sweet – if you haven’t got God of War yet, how can you pass up a new copy for $17? 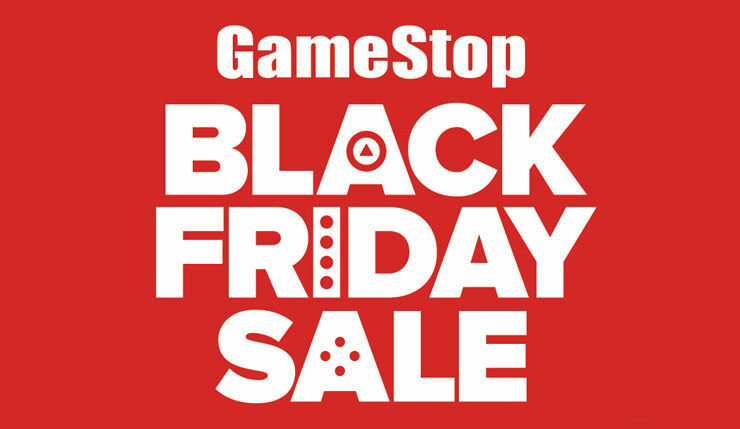 As mentioned, GameStop doors open on Thanksgiving (November 22) at 3pm. All Black Friday offers are valid until November 25.